NEC Univerge SV9100 Telephone System with 4 ISDN Phone Lines and 8 Digital Telephones. The NEC SV9100 telephone system is NBN Ready & Comes with Voice Mail and Auto Attendant. The NEC SV9100 Telephone System is for small to medium businesses that wish to take full advantage of what VoIP, IP Telephony and Unified Communications has to offer. Reliable and adaptable, the SV9100 telephone system is built on cutting edge technology that supports voice, unified communications and collaboration, unified messaging, and mobility out-of-the-box. 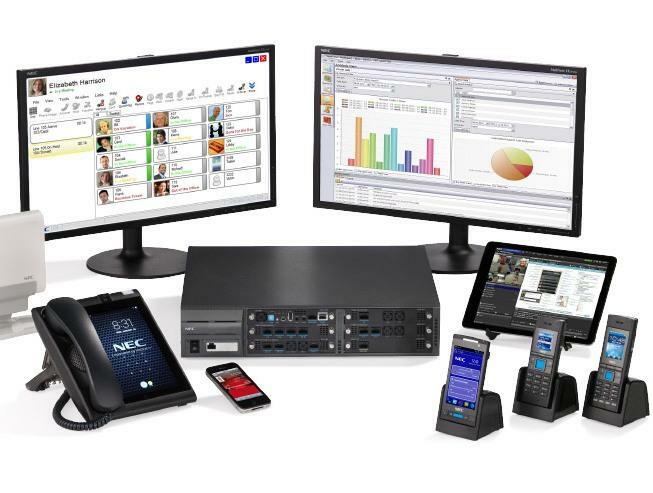 The UNIVERGE SV9100 offers: A seamless mix of IP and traditional phone services. Up to 896 Extensions, Embedded video and audio conferencing. Lower carriage costs with SIP trunks. A rack mountable chassis that can incorporate telephony, networking, server and gateway hardware. The capability to mesh up to 50 systems into a single image communication platform.